Truth be told, I’ve never been a huge fan of marshmallows. I don’t ever use them except for on my favorite Thanksgiving sweet potatoes. I sometimes add them to my hot chocolate, if there is no whipped cream available. That was before I tried homemade marshmallows. They’re fantastic. The flavor and texture is so much better than the store-bought version. They’re not tough and gummy. They’re super fluffy, and perfectly sticky. The best part is, you can flavor them any way you like, and you can choose the size and shape you want. 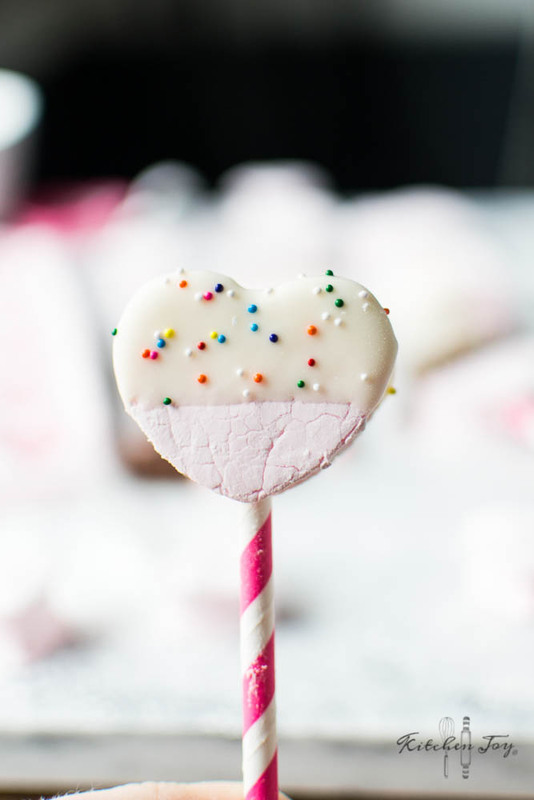 Since Valentine’s Day is right around the corner, I opted for pink strawberry-flavored, heart-shaped marshmallows. I was not disappointed! 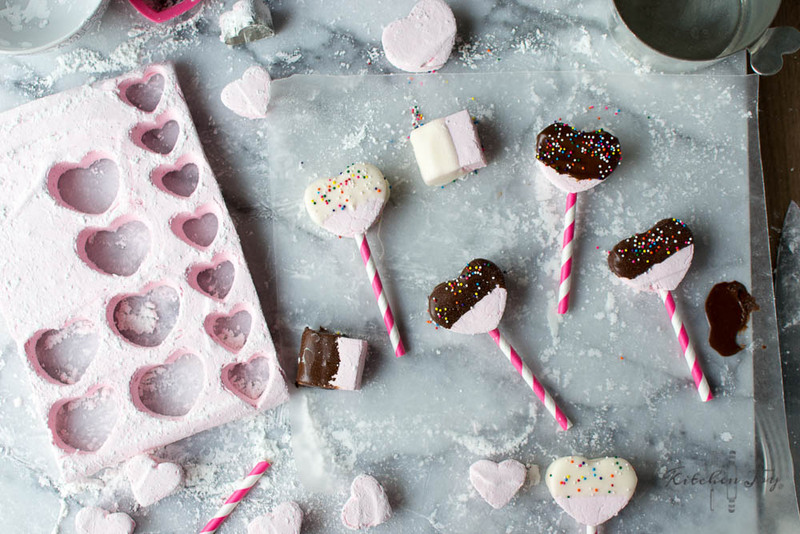 We made some cute little chocolate covered strawberry marshmallow lollipops that would make perfect treats to share with your Valentines. 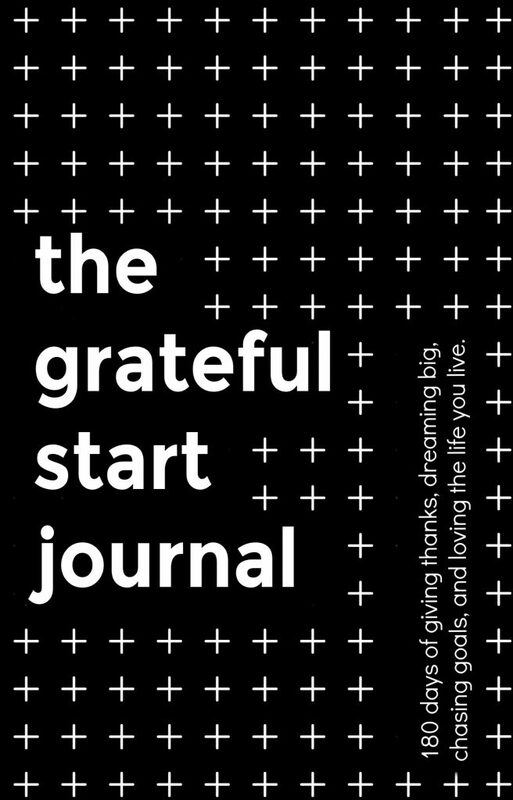 Or to keep for yourself. I’m not here to judge. Homemade marshmallows are actually not difficult to make. You do need a candy thermometer though. 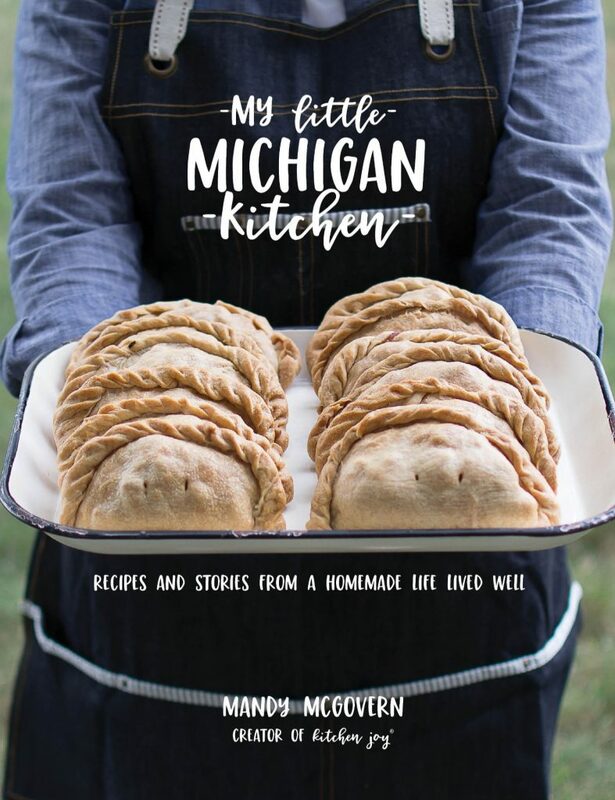 I highly recommend having one around because there are so many great recipes that use one…Peanut Brittle, Apple Cider Caramels, etc. You’ll also need to have a stand mixer available. Once you’ve made the mixture, it needs to whip in the mixer on high speed for 15 minutes. That’s asking a lot of a hand mixer, or a hand. To flavor your homemade marshmallows, you can use any flavor extract that you prefer. I have made marshmallows with strawberry, vanilla, and peppermint extract and all turned out fantastic. I’m thinking I need to try coconut next time! For “regular” marshmallows, use vanilla. 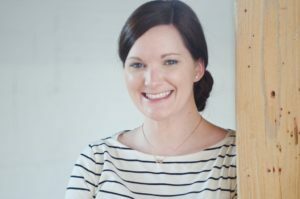 In the large bowl of a stand mixer fitted with the whisk attachment, mix gelatin and ½ cup of the cold water just until combined. In a small saucepan with candy thermometer attached, combine remaining ½ cup water, sugar, corn syrup, and salt. Heat over medium heat, whisking frequently, until mixture reaches 240°F (soft ball stage). This step takes about 10 minutes. Remove from heat. Turn mixer on low speed and very gradually drizzle sugar mixture into bowl with gelatin. Raise speed to high and mix until very, very thick and lukewarm. This will take about 15 minutes. Add extract and food coloring, then mix again until thoroughly combined. In a small bowl, whisk together the confectioners’ sugar and cornstarch. Spray a 9×13-inch baking pan with cooking spray. Dust pan generously with cornstarch mixture. Set remaining mixture aside to use later. Let marshmallow mixture set at room temperature, uncovered, for 8-24 hours. Overnight works great. 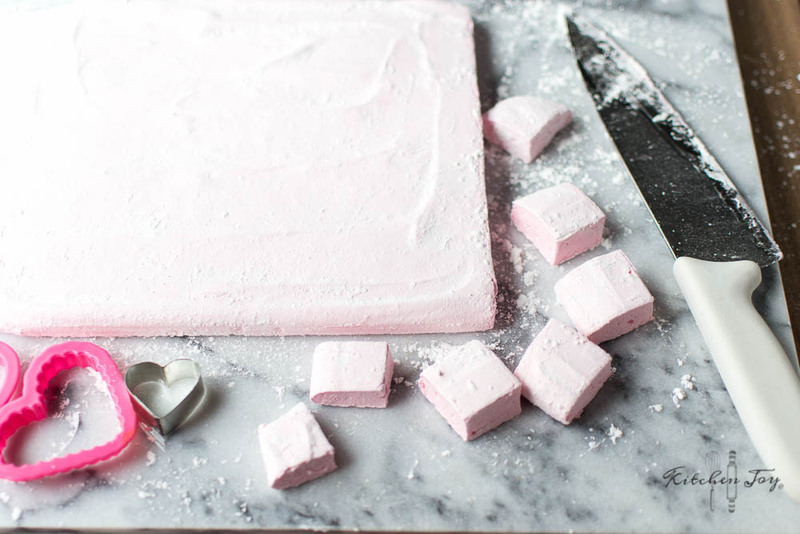 Once marshmallow has set, turn pan over onto a cutting board to remove the marshmallow. It should come out easily. 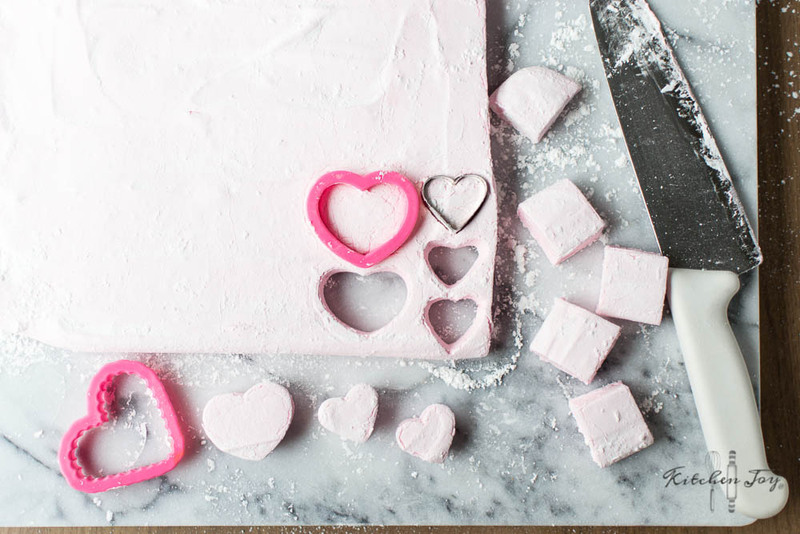 Using a knife or cookie cutters, cut marshmallows into the size and shape you desire, dusting the cut sides with remaining cornstarch mixture. Heat chocolate and butter in a double boiler (or in the microwave for about 45 seconds), stirring frequently. 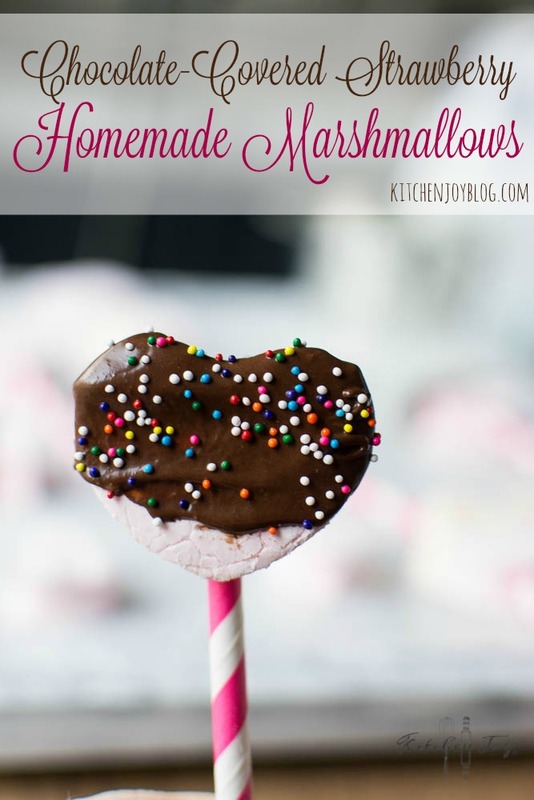 Dip marshmallows in melted chocolate and arrange on waxed paper to cool. Decorate with sprinkles while chocolate is still warm, if desired. **Note: I don’t recommend using chocolate chips for melting purposes because they contain ingredients that help them keep their shape when baked, which leads them to sometimes separate when melted. Bar chocolate melts much better. In a small saucepan with candy thermometer attached, combine remaining ½ cup water, sugar, corn syrup, and salt. Heat over medium heat until mixture reaches 240°F (soft ball stage). In a small bowl, whisk together the confectioners’ sugar and cornstarch. Spray a 9x13-inch baking pan with cooking spray. Dust pan generously with cornstarch mixture. Set remaining mixture aside to use later. I hope you all have a fantastic weekend! If you end up making homemade marshmallows, let me know how you liked them in the comments! Next week I’ve got an amazing homemade hot chocolate recipe for you to add your marshmallows to.